Awards: Honor Award, California Engineers and Land Surveyors of California; Grand Award, American Consulting Engineers Council Washington, DC; Consumers Award, Western Council of Construction; Project of the Year Award, American Public Works Association, Southern California Chapter; Outstanding Project of the Year, Water Re-use; Achievement Award, Orange County Engineering Council Project. 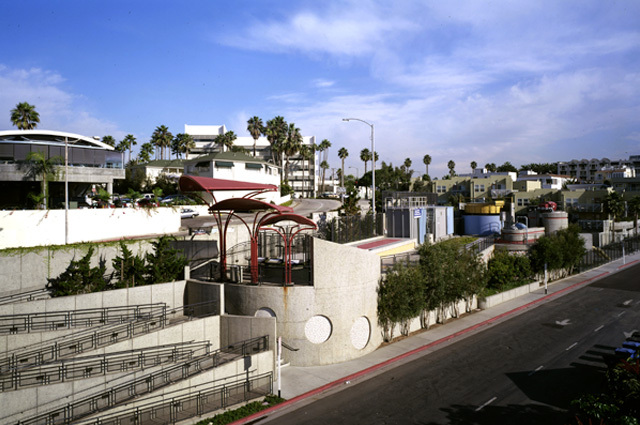 Located on Appian Way at foot of the Santa Monica Pier, SMURRF established a new benchmark for integrating art in public works projects. The engineer, artist, and architect collaborated on all critical components of the design. This approach transformed a utilitarian water treatment facility into a major public destination.